A newly-opened glass skywalk in the East Taihang Scenic Area in China offers tourists a chance to get a stunning or terrifying experience. The skywalk is built 1180 metres above sea level and it 226 metres long and only two metres wide. Tourists are in for a shock when at one stage the glass below them cracks and is accompanied by sound effects. 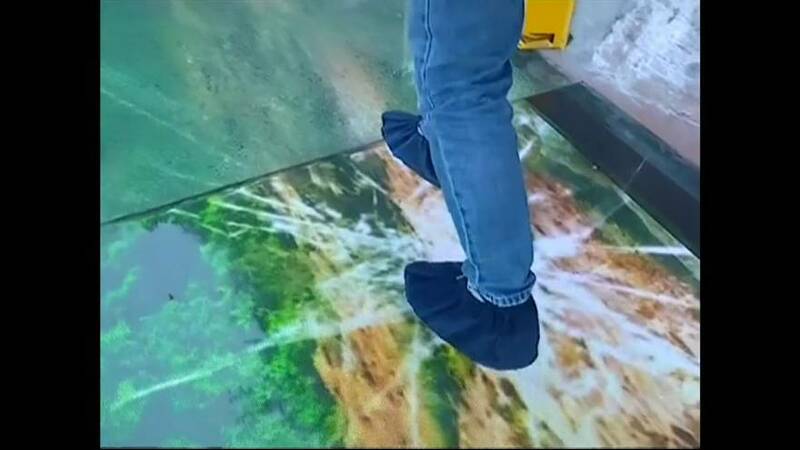 Yang Zhiqiang, a staff member with East Taihan Scenic Area said: ‘’ This effect is controlled by the weight of a human body. When one steps on it, the computer will make the glass look and sound cracked’‘.